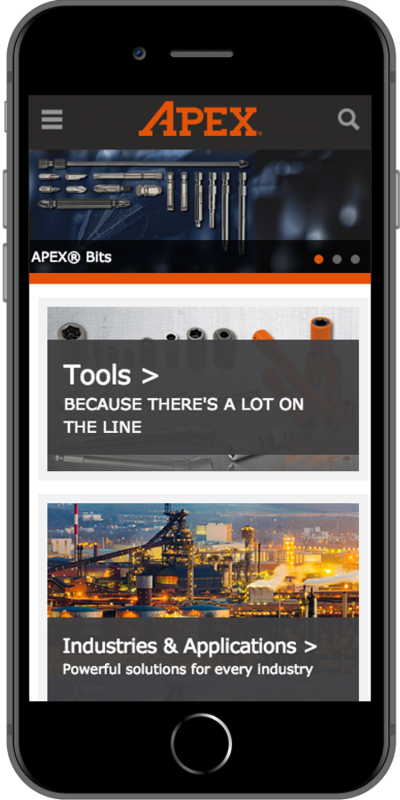 APEX’s expertise comprises more than 80 years of experience and the commitment to serve its customers in the automotive, aerospace, energy, electronics, and general industries with a wide range of quality and long-life fastening solutions built to enhance productivity and with end-user safety in mind. 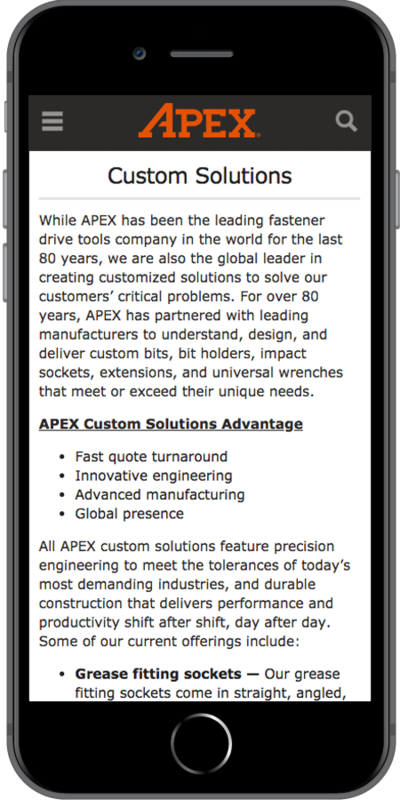 APEX’s fastening solutions can be customized to meet specific application needs and are available to customers worldwide. 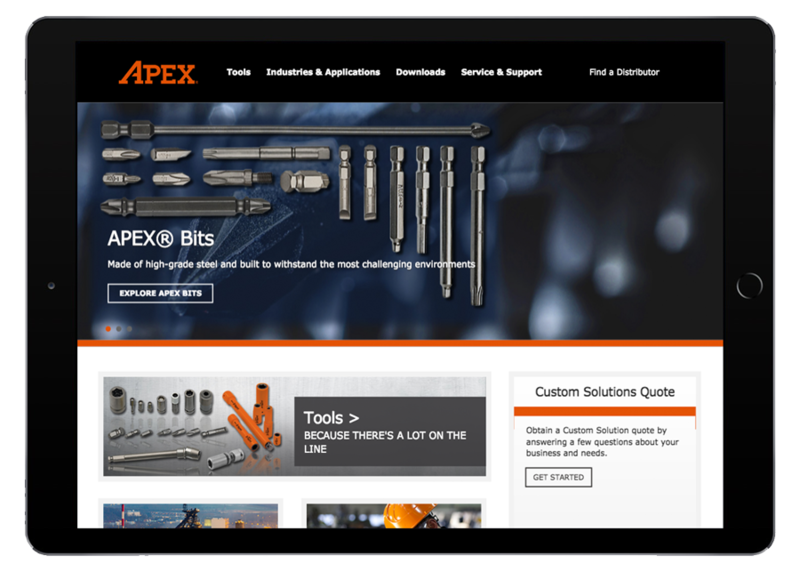 Utilizing the Drupal CMS for marketing content management and Magento platform for product catalog display and search capabilities, Starkmedia was able to design and develop a seamless user experience. 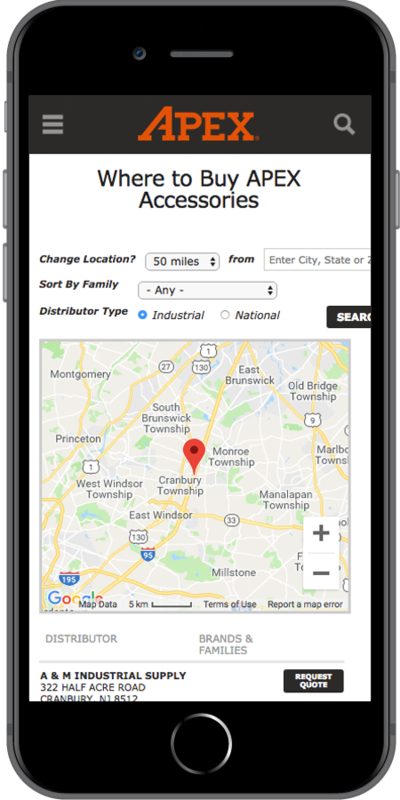 An integration with their PIM system, Stibo STEP, allows for centralized product information management and global scalability. 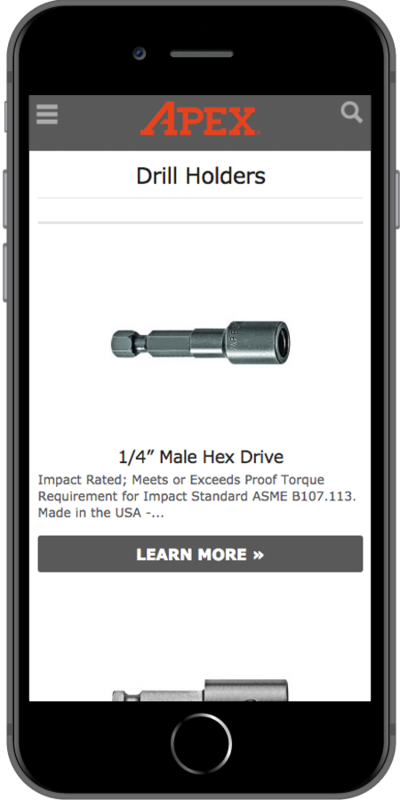 This foundation was leveraged across the entire Power Tools web presence including 3 other brands and the divisional website.